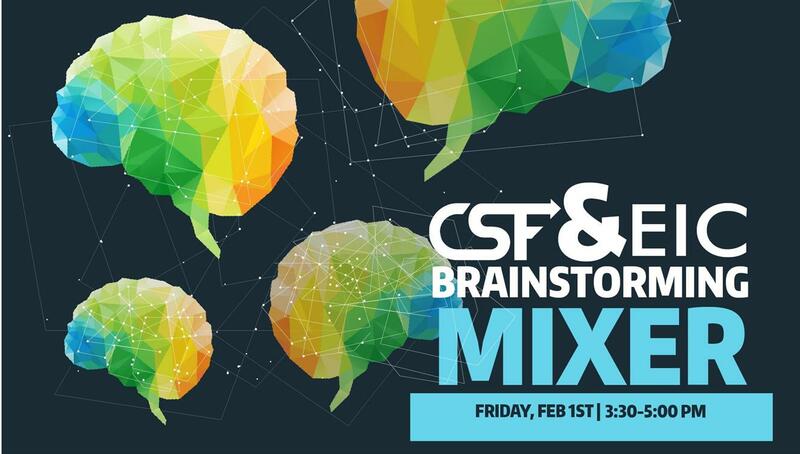 On Friday, February 1st from 3:30 to 5:00 pm in the ECC Unity Room, join the CSF team, Environmental Innovation Challenge (EIC) and a number of sustainability project leads featuring presentations of their final products and outcomes. There will be an opportunity to get involved in a brainstorming activity and gain knowledge on how you can have an impact by applying for a CSF grant / submitting to the EIC. This is a great opportunity for you to learn from project experts and get help with your own potential projects in mind, or just have a fun time socializing with others who are interested in sustainability!